Jumping into the world books about a place is one of the best ways to get excited about visiting somewhere new. Mexico City has an incredible selection of books to choose from to inspire you! Check out my recent travel guide for more inspiration. Just days after the 1985 earthquake, the journalist/poet John Ross left New York and checked into room 102 of the not-so-classy Hotel Isabel in the Centro Historico of Mexico City, and stayed for 25 years. In that time, he reported on and loved Mexico City with a passion. El Monstruo is his ode to the city. Mexico City’s subcultures, from punk and emo to glamorous drag to Virgin of Guadelupe pilgrims, come alive in this personal account of exploring contemporary Mexico City. This oral-history account of the devastating 1985 earthquake and its tragic, revolutionary, and even inspiring aftermath, is a classic. Elena Poniatowska has often been compared to Studs Terkel for her insistent attention to people’s stories, and they truly come alive in these surprising accounts of life in the rubble of a shaken megacity. Like most art fairs in the world some of the best things happen outside of the main fair Zona Maco. For me I love to use those days surrounding the main weekend enjoying the multitude of events that happen in parallel spaces. During Maco there is also an emerging fair called Material Art Fair which tends to focus on younger and emerging artists. It's a good one for discovering work artists that you may not know. Here are a few places I would check out during Maco week! Situated right in the heart of Centro Historico Casa Vecina is a really amazing place to find work that most likely will not be in art fairs. It focuses on a diverse range of contemporary work with focus on the city and community building. They have a little exhibition space that I've seen some of the most interesting work like an exhibition about the neighborhood that intricately creates and decorates monster trucks with a white mud. This collective space is pretty incredible. It holds a lot of different kinds of events from music shows, to bike repair, to exhibitions, to fashion shows. Located right next la Merced market the crew that runs this space is a sweet and eclectic group of artists, designers, and architects committed to their neighborhood and their city. Check their website to make sure something is happening before heading over. This space is a residency/exhibition/research center in San Rafael. It is housed in this incredible old mansion from the turn of the century. This is a good place to see work by local and international artists who generally tend to be younger and are taking pretty interesting creative risks. I am on a long-term hunt for the best ceviche and would love your suggestions. Where do you go? What do you look for in a good ceviche? This relatively new restaurant in Juarez has fancy ceviches. They have a few kinds, the ceviche mar a mar is the best one. I love the blue corn tostadas and the roasted habanero salsa. They've go great cocktails, really fresh fish. This is a good place to enjoy a nice lunch out. I like to come here on Sunday with the rest of the city and sit around and eat, walk a little maybe, drink a beer, and eat some more. The ceviche stand here is in the middle of the market and it does a brisk business. Sit at the counter, order up. And consider yourself lucky. This is my standby meal in Tulum. Run by a fishermans cooperative the mounds of ceviche that come out of that kitchen are a wonder! This is my kind of restaurant. It's always busy, there is an amazing under the sea mural, next door is a small fish shop full of coolers doing a brisk business. When I share I order a medium and I have never been able to polish off a large. Starting the year off by sharing this lovely and economical place to stay in Tokyo. 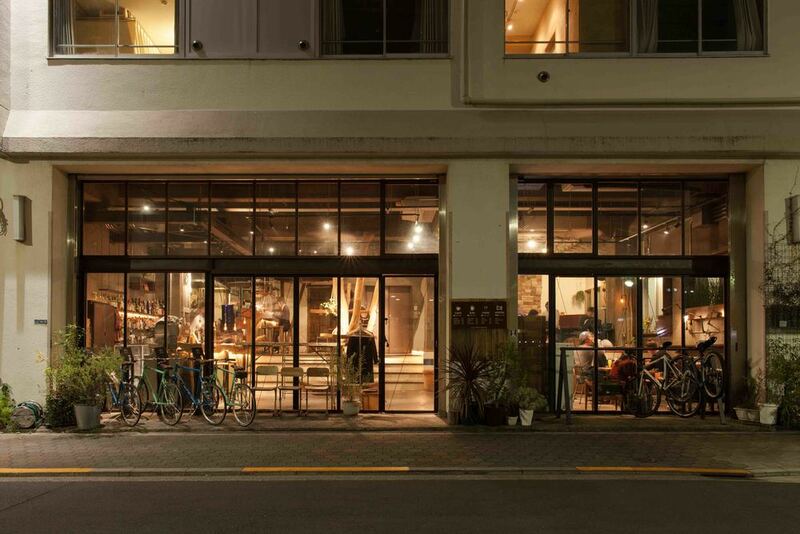 These folks at Hostel Bar Nui are creating a new approach to Japanese hospitality! Tokyo Travel Guide Book Release! Wishing you a Merry Christmas from beautiful and wild Oaxaca! Farnaz Fatemi is a poet, a writer and a teacher of the craft of writing at UC Santa Cruz, and, importantly for us, she is a gardener and lover of tomatoes. Visit Tokyo, an ultra-modern wonder punctuated by tradition! Or wander the crooked streets, incense-filled temples at dawn, eating exquisite meals that taste as beautiful as they look in Kyoto. Satori Guides are a hand-collected set of accommodations, sites, and things that arose out of conversations with locals, years of travel professional expertise and a love of exploration. We curate these selections carefully to offer what fascinates and inspires us. Find out where to start your adventure by using the suggestions in this book as jumping off points. In a country steeped in a thousand years of culture and tradition this book provides a starting point for the cities of Kyoto and Tokyo. These fascinating cities are worthy of years of exploring. In this book begin to know the culture and mysteries housed in high-reaching skyscrapers and the tiny businesses run of traditional houses next door to them. Satori Guides are about the transformative potential of moments you have while exploring a new place. Our guides offer a curated glimpse into places and experiences that might change how your life is lived. Traveling is all about experiencing new places outside of yourself and the internal journeys they allow us to take. In this series each restaurant, shop, or hotel is hand-picked because of it’s potential to transport you out of your life for a few days and into a place that brings perspective. One of the favorite parts of what I get to do is celebrate people who love their places. Gabriel Talavera is one of these people! It's contagious when people love the places they invest in. Gabriel knows his city and the stories it holds. With a history as an architect it is like being invited to time travel through the ages of this ancient capital as he describes the city. Check him out in the recent Satori Guide of Roma and Condesa! Have you always dreamt of a trip to Mexico City? Imagined wandering the streets sampling spicy tacos and discovering tiny bookstores tucked into garages. Come and discover the creative and vibrant neighborhoods of Roma and Condesa in Mexico with the help of Satori Guides.